Following the success of the BLACK Edition last year, Brompton have released another limited run of the Brompton BLACK Edition folding bike. They are the first 2017 specification Bromptons available. * We could have missed some! 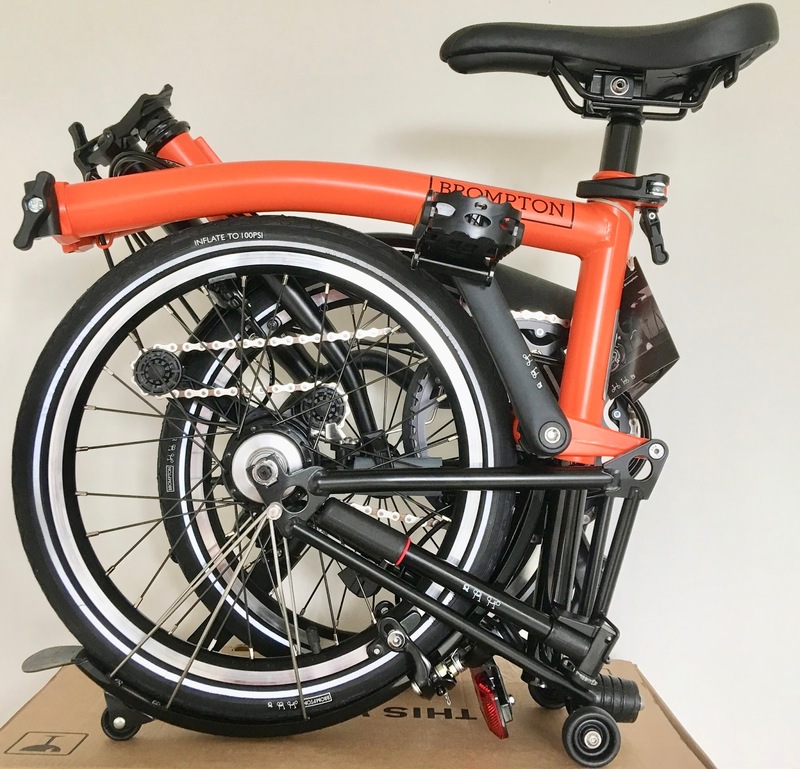 And unlike most Brompton where the main frame is one colour and the extremities are another, these have the main frame and handlebar stem as one of the four colours above, and the front forks and rear triangle in black. Unfortunately the photo to to the right doesn't do it justice - we'll try again soon! The BLACK edition Bromptons are the first of the 2017 models produced. Lock on grips. 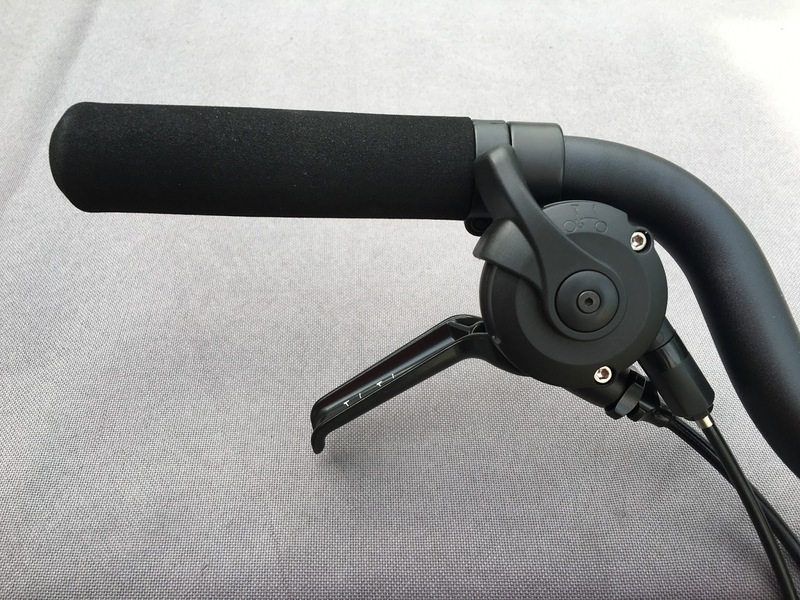 It seems that the lock on Brompton grips have finally been released by Brompton. They are still foam, but fixed on with a lock on clip at the inside end. New gear triggers. Both the 3 speed (for the hub gear) and 2 speed (for derailleur system) have new gear triggers. They are similar to the Shimano trigger style changers. New brake levers? The gear triggers / shifters (whatever you would prefer to call them) integrate with the brake lever. We haven't taken them apart to see, but the existing levers don't seem to have the mounting holes. New gear cables. The new gear shifters use new gear cables - so you will have to select the correct one - for the Brompton 2016 BLACK edition it is the 2017 model cables! You can see our range of Brompton BLACK edition bikes here. Whats your Brompton gear ratio? 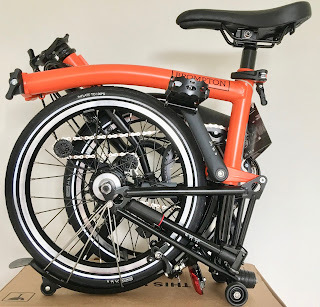 Is my Brompton a long or short wheelbase? Which Brompton handlebar type do I have?